Examination anxiety popularly known as examination fever, has probably plagued Nigerian students since we first learnt how to say 'school'. It's one of the major problems educationists and students as well, face daily in Nigerian educational Institutions. It usually affects mostly students in secondary and tertiary institutions. Exam fever, can be defined as 'An irrational or obsessive fear or anxiety, of the probability of passing or failing examinations. It is 'irrational', because it causes us to do stuff that we can clearly classify as being nonsensical, absurd or foolish. Nonsensical means 'without sense'. 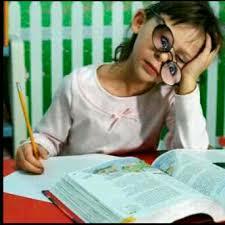 In essence, whenever we experience exam fever, we act without THINKING STRAIGHT. It is 'obsessive' because in most cases, this menace is of a RECURRING nature. It happens frequently, with repetition. The odds are if you are suffering from exam fever, and you haven't made conscious effort to break free from it, it probably happens every time you take a major exam. 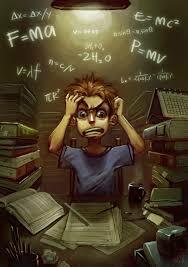 EXAM FEVER OCCURS AS A RESULT OF STRESS Stress can simply be defined, as 'WORK OVERLOAD'. Human beings experience stress in their everyday lives, and WE ALL as individuals HAVE BREAKING POINTS. In a person's family and personal life, and his or her work life (or in our case ACADEMIC life), stress is always present, to an extent. The academic environment, whether secondary or tertiary, is full of stressful activities. From walking long distances to lecture theatres, to observing personal study sessions, one can be so stressed up that breaking down occurs. Since we as students, always experience stress at regular points in time, it is absolutely necessary for us to learn how to cope with academic stress. You see, failure to cope with stress especially prior to semester (or end of term) examinations, usually leads to exam fever. I want you my dear reader, to be rest assured that if you are battling with exam fever, it is curable. Yes, Exam fever can be cured. In order to achieve this, read on with a CONSCIOUS decision to modify your routines to improve your tolerance range and overall efficiency as a student. a) DEAL WITH PRESSURE:Exam tension puts us all under pressure. This pressure can ACCUMULATE. When it accumulates, it causes STRESS, which can lead to exam fever. Most high flying students, have over the years, learnt how to completely cope with and subdue the external effects of this pressure. You need to learn how to handle pressure, not just in school, but in every aspect of your life as an individual. You build your ability to tolerate a lot of pressure, with practice. b) DON'T PILE UP WORK: Avoid procrastination as much as possible. Maintain efficiency. Don't put away what you have to do today, till tomorrow. Attend to each activity as soon as you are able to. When its time to do homework, please do. When its time to read, please do. When its time to attend lectures, please do. When its time to have fun, please do. There is time for everything. START PREPARING FOR EXAMINATIONS EARLY. c) DEVELOP A WORKING CYCLE: In your personal study sessions, try to develop a working cycle. Assess yourself. When do you assimilate better? What method works well for you? DON'T COPY OTHER PEOPLE. YOU ARE UNIQUE. identify what suits you, then work it into a cycle. A cycle helps you to be consistent. CONSISTENCY builds CONFIDENCE. Confidence ELIMINATES FEAR. d) AVOID NEGATIVE THINKING:If you are in the university, then you're probably used to hearing that a course is impossible to pass. This lecturer is horrible. You can never pass my course and other stuff like that. Please DISMISS ALL NEGATIVE THOUGHTS. Being negative won't get you any where. It will only add fear to your mind. Stay positive and be prayerful. e) WORK ALWAYS BRING RESULTS: All works bring result. The success you achieve tomorrow, is directly proportional to the work you are willing to put in today. If you work for an A, all things being equal you'll get an A. If you get a B, work harder. Eventually, you'll get an A+ not just an ordinary A.